Another entry in the 2012 Dark Globe February Shoot-off – category is “People at Work”. 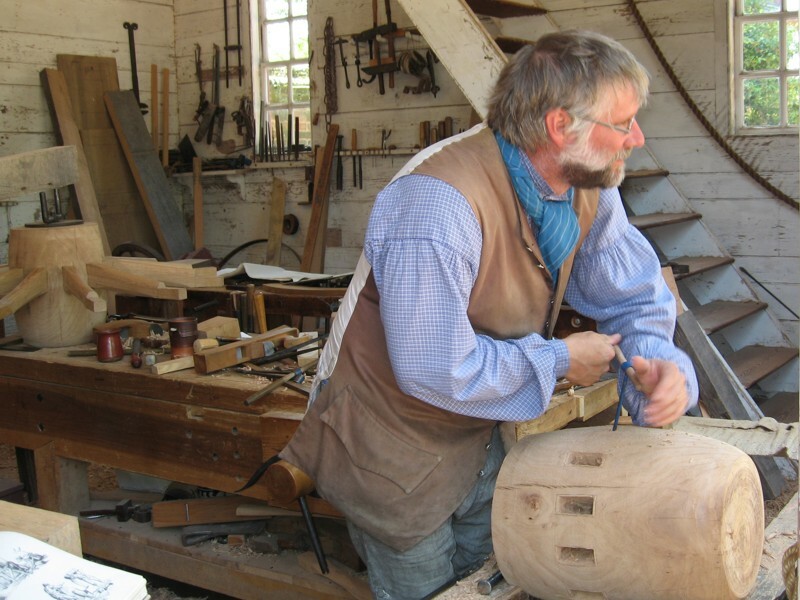 He’s working three jobs at once – he’s a wheelwright caught in the middle of making a hub for a wagon wheel; he’s an actor playing the role of an 18th-century craftsman at Williamsburg, Virginia; and he’s a teacher ready to explain how wagons were built all those years ago. I took this picture in June, 2005 at Chaco Canyon, New Mexico. 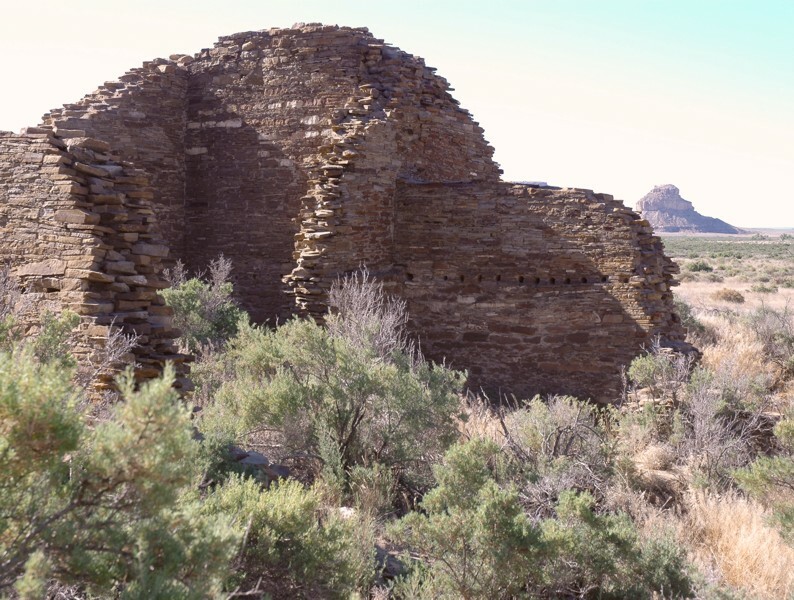 I like the way the ruined building in the foreground echos the shape of the distant mesa.